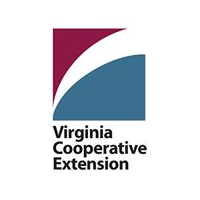 “What do you do for a living?” can be a complicated question for a Virginia Cooperative Extension agent to answer succinctly. Virginia Farm Bureau Federation, the state’s largest agricultural organization, is encouraging state legislators to support proposed budget amendments that would provide an additional $2.5 million for Extension positions that have been lost, creating “gaps” identified by the state’s farmers. Farm Bureau also is encouraging support for proposed budget amendments that would provide an additional $3.75 million for Extension to upgrade equipment and create positions that would help farmers better utilize precision-based farming practices. Additionally, Moore noted, the number of Extension agriculture agents in the Northern Neck, Middle Peninsula and other areas of Eastern Virginia has dwindled due to turnover and attrition. Access to the findings of land grant universities’ research, via Extension agents and other Extension specialists, “is not a luxury for Virginia agriculture and forestry,” she asserted. “It is a necessity” for keeping the state’s largest industry viable. After one Extension forestry landowner program in Virginia, Moore said, 50 percent of attendees wrote management plans within five years of attending, compared to 3 percent nationally. Each house in the General Assembly announced its revised budget Feb. 3, and each will vote on those budgets Feb. 7. However, discussion of changes to the budgets and consideration of funding for additional Extension positions will continue through the end of this year’s legislative session. The House of Delegates is proposing adding $1.25 million to fill positions. The Senate did not include any additional funding for filling vacant positions.